In as far as they developed talents, it was to misapply them; in as far as they were aware of their own deficiencies, it was to ignore them…Theirs was, in consequence, a journey of dynastic destruction, completed in single or successive generations. There would be no return, no temporal redemption. 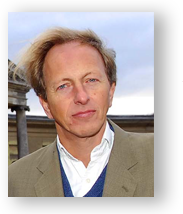 A bleak day in January 1999…an unexpected guest at dinner…an hour of equally unexpected reminiscence about John Bristol [the 7th Marquess of Bristol]. So a seed was sown. It would, in due course, lead to an attempt to resurrect the lives of a number of twentieth century aristocrats who took the down-escalator of life - an attempt made not via the opinions of those who had heard things said about them, but via those who knew them, lived with them, loved them (and frequently despaired of them too). 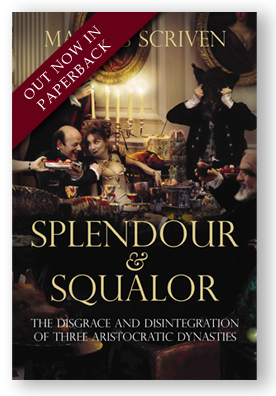 Splendour & Squalor scrutinises four such lives (two from the same family): these were men who kept monkeys in West End hotels, and rent-boys in Deauville and Kensington; who used firearms with convincing disregard for their own and others’ safety, who drove Rollses and Bentleys with apparently suicidal intent, acquired yachts and helicopters whilst shipping the family silver to California and disposing of Old Masters at auction; who married frequently and unsatisfactorily, and sought consolation in narcotics and alcohol, whilst experimenting with burglary, shop-lifting, vagrancy and fraud.